Everything You Need To Know About Upholstery Cleaning! Upholstery cleaning can be complicated and confusing. There are a myriad of household products and natural methods that claim to clean certain types of upholstery. Furthermore, with an increasing variety of upholstery materials available, it can be hard to know which method works best. Before you go shopping for your furniture, it’s important to have a knowledge of the types of upholstery on the market and consider what will suit you and the traffic in your home. Colour, style, design and cost should all be factored in depending on whether you have young children or pets who will be using the furniture on a regular basis. Certain types of upholstery are more prone to staining, tearing or building up dust than others. Be sure to chat to the salesperson about the traffic your piece of furniture will incur. They should be able to guide you as to what colour and type of fabric will suit your home. In any case, good quality furniture doesn’t come cheap. The best way to get the longest life out of your furniture is to understand its materials and how to keep it clean and well-maintained. This way you can ensure you get the most out of your furniture for the longest possible time. Here’s everything you need to know about choosing, cleaning and maintaining your upholstered furniture. Like any type of ‘big ticket’ shopping, you’ll find it easier and feel better about your choice if you’ve done your research. Don’t overlook the type of material your furniture is made out of when you buy it. It could make or break whether you love or despise that piece of furniture in a few months’ time! Generally, there are two types of fabric – synthetic and non-synthetic. Each have their pros and cons in terms of cleaning. Synthetic – Acrylic, nylon, polyester, rayon and microfiber are all synthetic fabrics. Non-synthetic – Cotton, vinyl, wool, leather and linen are natural fabrics. Leather is tough and durable. It can be easily wiped down or washed with leather conditioner. Consider the colour you choose, though, especially if it is a piece of furniture used often such as a couch or dining table chairs. White and light colours will mark easily and need more maintenance. Choose your synthetic or non-synthetic fabric type carefully and remember to pick something that is easy to clean, but also comfortable. Some people don’t like leather because it can feel sticky in warmer weather. If this is you, consider the soft, comfortable feel of microfiber. It all depends on your personal tastes and how this piece of furniture will be used in your home. Which upholstery fabric is the easiest to clean? Microfiber has a good reputation for being easy to clean. However, this will depend on the colour you choose and the quality of microfiber. Leather’s durability makes it easy to clean as pet hair and dirt can be vacuumed, whereas other upholstery fabric clings to hair and dirt, requiring a heavy duty or pet vacuum. Wool is also considered to be quite hardy and less prone to pilling or fading than cheaper fabrics on the market. Which fabric is the hardest to clean? It depends on how the fabric is used, but tightly woven fabric can be difficult to clean, particularly if you have pets or children, as the dirt and hair can get caught within the weaves of the furniture. The lighter in colour the more difficult fabrics can be to clean. What can go wrong with upholstery fabric? Leather: Avoid using cleaners that are not specific to leather. It may result in staining or discolouring your leather and can even cause it to become dried out and cracked. Fabric: Overscrubbing can cause threads to become loose and frayed. Blot carefully when cleaning fabric or stick to SafeClean’s dry cleaning methods. Microfiber: Microfiber can become unsightly if wet too much. Avoid cleaning microfiber with water or it will stain it further and you will end up with large stains all over your lounge suite. What should you do if there is a stain emergency? W: Use a water-based detergent only. S: Only use water-free solvents here, such as a dry solvent or alcohol. WS: Use either of the options above, depending on the type of stain. X: Take the product to a professional cleaner. Do not use any upholstery cleaner on the fabric. Only vacuum and blot it dry if there is a stain. If you are unable to locate the tag, call a professional for expert advice. Why should you use SafeClean to clean your upholstery? SafeClean will make sure that your beloved piece of furniture looks brand new for as long as possible. SafeClean is a family owned and run business. Our standards of service are high and our prices are reasonable. This means you can get your furniture regularly cleaned and keep it looking as good as new! Doing it yourself can result in some serious damage to your furniture. In the long-run, replacing your furniture sooner is more expensive than getting it maintained and cleaned from time to time. Prevention is always better than a cure. 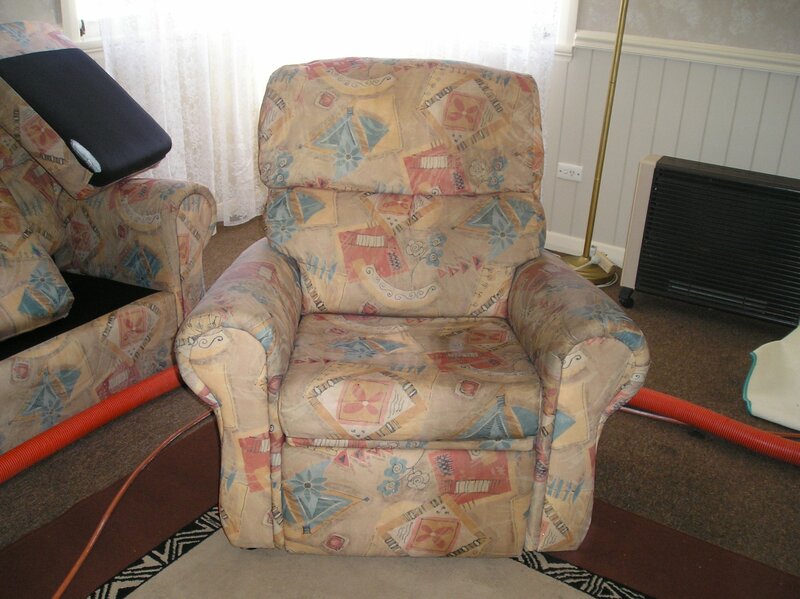 If you do find yourself needing upholstery cleaning due to a spill or other damage, then SafeClean will be able to help no matter what. SafeClean provides a cleaning solution for all types of upholstery and all types of furniture, giving you the peace of mind that we can get the job done before that stain sets in and becomes more difficult to remove. Get your upholstery cleaning and maintenance started today. Call SafeClean for your obligation free quote on 3823 2333. How should you maintain your furniture after you have bought it? Have your furniture cleaned regularly by a professional: Regular furniture cleaning by a professional is the best way to maintain it. SafeClean uses a specially attached upholstery tool called the Dry Master and fabric-protection Dupont Teflon applicators to clean couches, lounges and other furniture. It keeps your furniture looking like it did the day you purchased it and then protects it for future use too! Vacuum your furniture regularly: It is important to vacuum your furniture on a regular basis. Use the upholstery nozzle on your vacuum to ensure you get into those hard to reach places. This prevents dirt becoming embedded deep into the fabric, causing it to look shabby. Clean spills immediately: Clean spills immediately to ensure you don’t end up with ugly stains all over your lounge suite. Some spills are easier to clean than others. If blotting with a soft, white cloth doesn’t work, call in the professionals. The sooner you do this, the easier the stain will be to remove.